Recent developments in Africa have many scratching their heads and wondering whether the formerly wondrous economic-growth engine of the vastly resource-rich and otherwise economically still undervalued continent will soon experience a slowdown, if not come to a halt altogether. 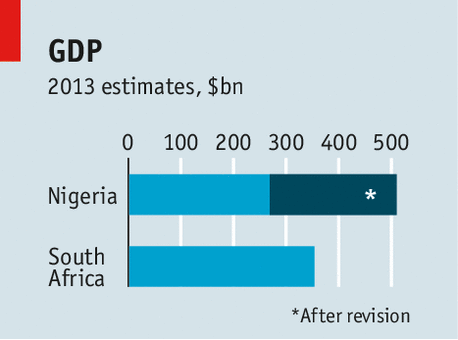 For one, in April 2014, Nigeria surpassed South Africa as the continent’s largest economy (see Economist Apr. 12, 2014: “Africa’s New Number One“). This is a significant milestone for the former, and a setback for the latter — an economy that was 8 times the size of the Nigerian economy only 20 years ago, yet is now suffering from stagnating GDP, reeling from corruption allegations amongst its current leadership, undergoing a closely-watched presidential election process, and whose ruling ANC party is facing a heretofore unprecedented backlash and torrent of criticism. Likewise, multi-national organisations such as COMESA and its competition enforcement body, are undergoing significant changes (such as, currently, an opaque process of raising the heretofore insufficient merger-filing thresholds), shockingly successful web attacks on their data, and a resulting dearth of transactions being notified. Elsewhere in developing economies, recent political turmoil has likewise led observes to comment on the negative spillover effect from political & social spheres into the economy (e.g., Financial Times, May 8, 2014: “Political crisis further dents prospects for Thai economy“). The upshot for competition-law practitioners and enforcers alike is rather straightforward, AAT predicts: more hesitation around African deals being done means fewer notifications, less enforcement, and overall lower billings for firms. The flip side of the coin – as is usually the case in the economic sine curve of growth and slowdowns – is the commonly-observed inverse relationship of M&A and criminal antitrust: while we may see fewer transactions in the short term, the incidence of cartel behaviour and commercial bribery & government-contract fraud cases will likely increase.